Home DIY's	New Carnations and How To Create Faux Peonies! New Carnations and How To Create Faux Peonies! If you follow our blog, you may have heard me talk about the Carnation Comeback (<–check out this post for a great DIY Carnation Bouquet! 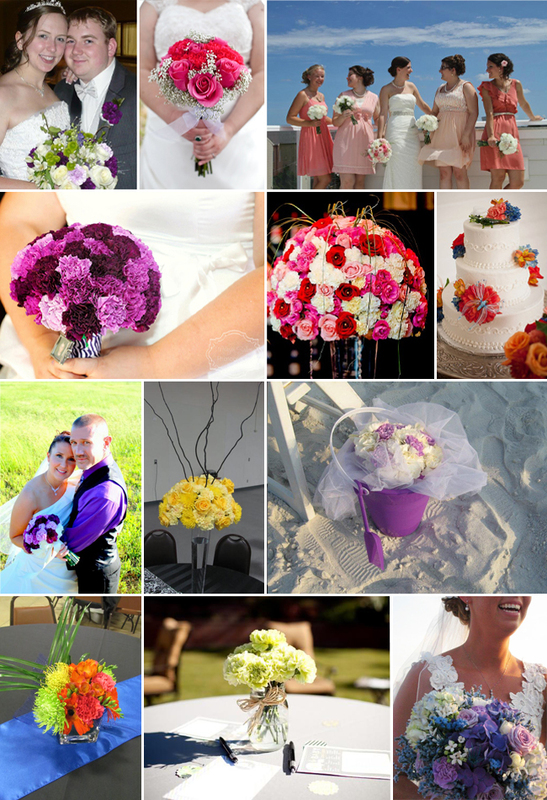 )…and that’s because Carnations really are making a comeback in the wedding world! Their ball shaped ruffled bloom can add the perfect amount of full and fluffy texture and they come in a rainbow of colors, allowing for the perfect pop of color in your bouquets and arrangements! To check out each variety in more detail, click on the links here: Clockwise from Top Left – Hawaiian Punch Carnation, Burgundy Moonlight Carnation, Bella Antique Green and Pink Carnation, and Vintage Pink and Cream Carnation. Okay, so now the How-To! Where we will show you Hot To Create a Faux Peony out of Carnations! How-To Create Faux Peonies by FiftyFlowers.com! See how easy that is? Just bunch 5 Carnations stems together, secure, and voila! A Faux Peony with the same Full, Fluffy, Ruffled, and Ball Shaped look! When Peonies are not in season, or are just too pricey, try this technique! Don’t forget to check out that DIY Carnation Bouquet, or how about a DIY Blooming Carnation Display Board, which you can use for a Colorful Floral Backdrop or a Seating Chart! 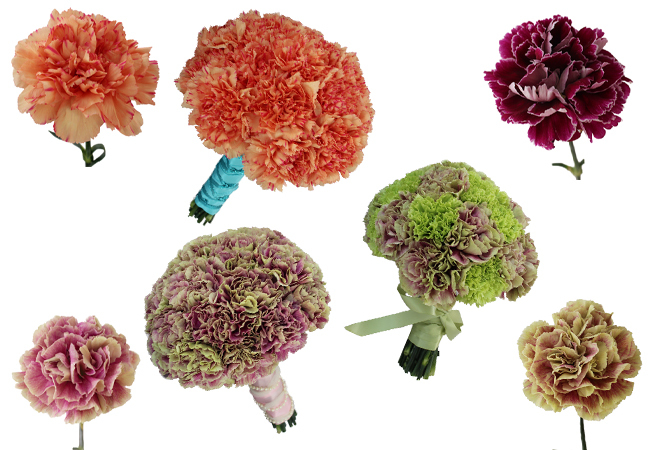 Need More Carnation Inspiration?! Check out what some of our DIY Brides have done! Real DIY Carnation Bouquets and Arrangements from FiftyFlowers.com!